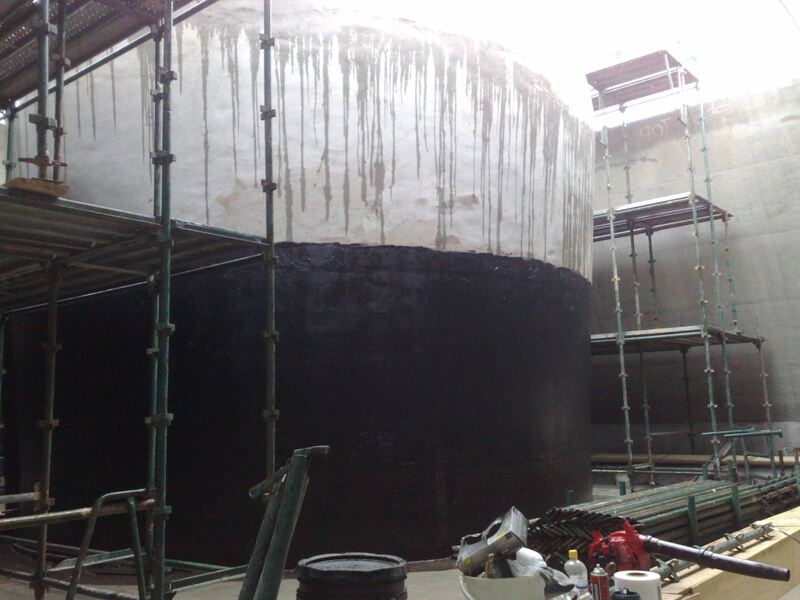 F.E.W Waterproofing use Liquid Rubber membranes which have proven corrosion protection. The corrosion of steel reinforcements by water and water borne contaminants can significantly shorten the life of a concrete tanked structure. We offer waterproofing systems using Liquid Applied Membranes (LAM). Liquid waterproofing systems provide the unique property of extreme flexibility and memory. Flexibility ensures the membrane will move with the structure – concrete or metal. These environmentally friendly membranes can be applied to either the positive or negative side of structures, can be installed before, during or after construction. Installation times vary widely between waterproofing systems, so this is a vital question if your timeline is short. Spray applied liquid systems are faster, quicker and easier to install compared with traditional sheet membranes. Fitting in with construction time-lines is an important factor. Liquid Applied Membranes are water based safe waterproofing products – ideal forall drinking water and food storage containment. Liquid Membranes are salt, pollution & chemical resistant. 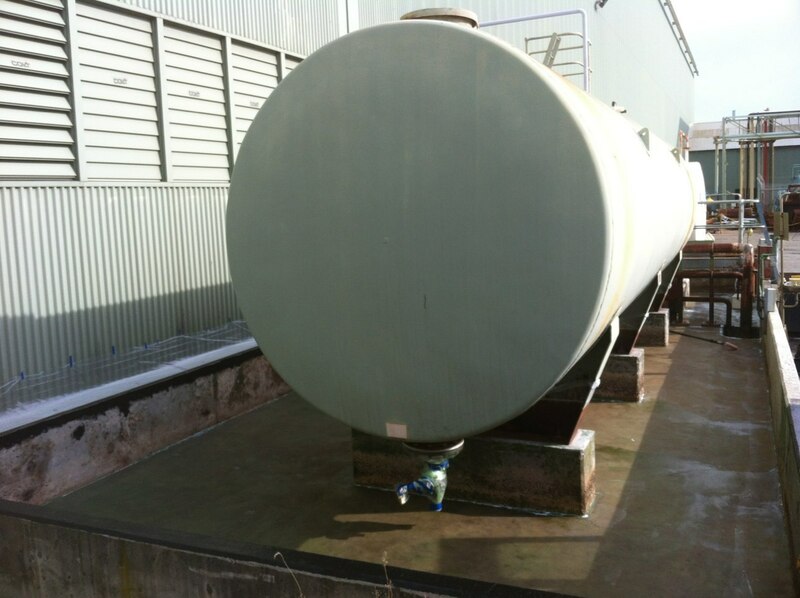 It is vital storage tank membranes are resistant to contamination by the inward migration of waterborne chemicals, chlorides, sulphates and silt. 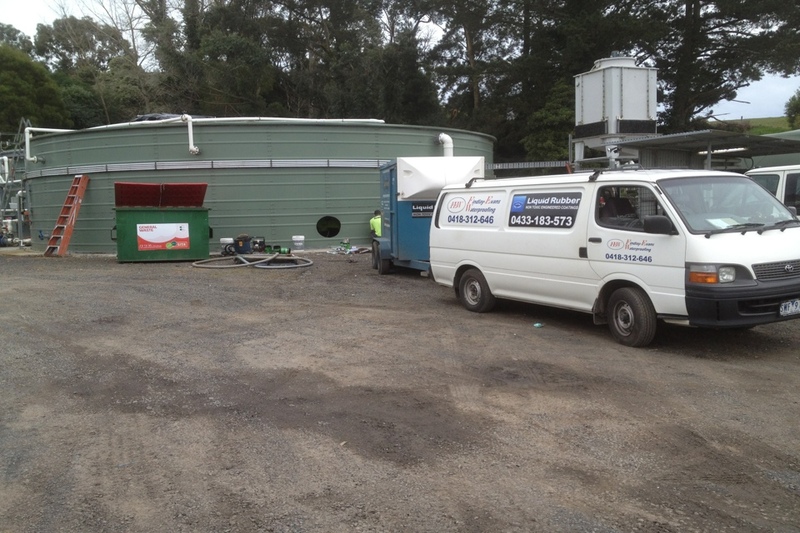 For this project the F.E.W Team used Liquid Rubber membrane to seal and waterproof both metal walls and concrete base for a food storage tank. On the vertical surfaces Liquid Rubber was spray-applied to a dry film thickness of 1.5mm over clean metal walls. 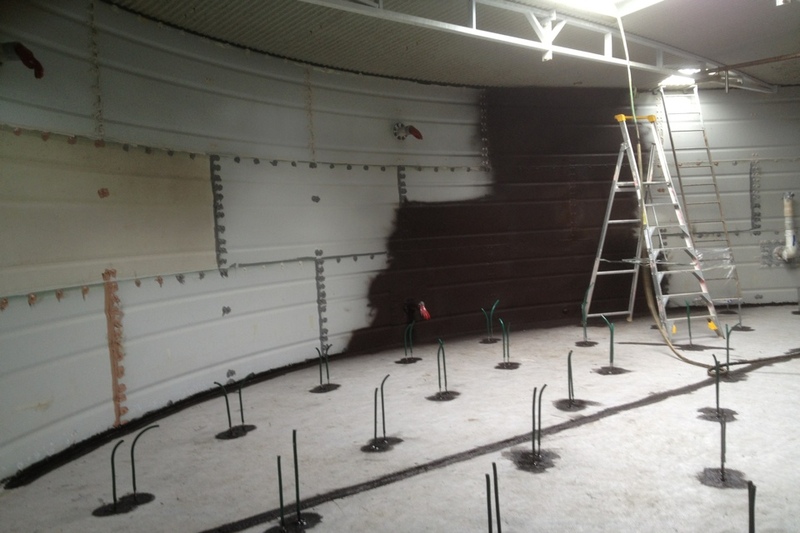 Liquid Rubber was also used to waterproof the concrete base of the tank. As our waterproofing membranes are spray-applied this means that they can be installed without affecting or disrupting the workplace beneath. F.E.W Waterproofing systems and products are an instant set application meaning that installation is a very fast process – up to 3 times faster than conventional sheet/torch-on systems. By using the latest technology in liquid applied waterproofing means that we can apply membranes to new and/or existing roofs and over just about any type of material and very often can overcoat existing membranes and roofs. Spray application of liquid waterproofing over coats the existing – so there is no need to remove the roof or even the existing failed sheet membrane. 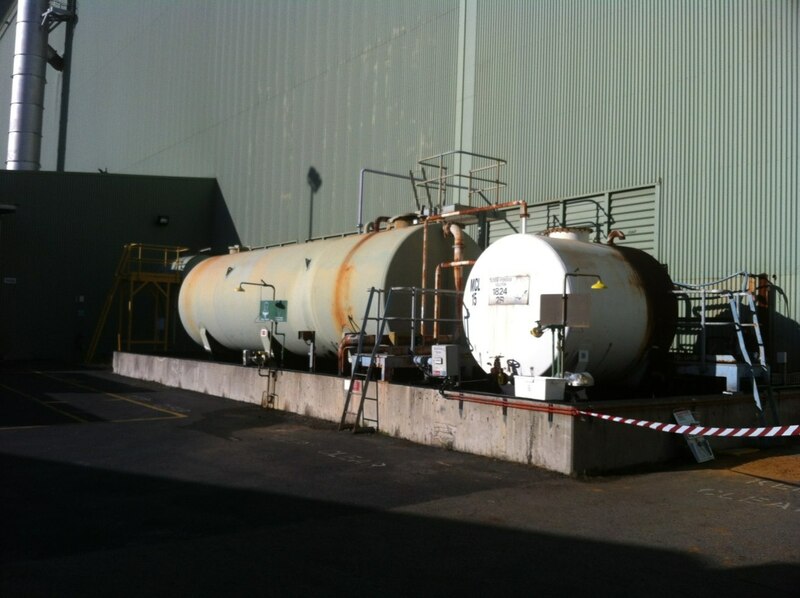 Liquid Applied Membranes provided a fast & efficient solution to a challenging project – it was impossible to remove the roof of this historic power station – spray application was the ideal method. Heat reflective waterproofing membranes – improve the appearance of existing roofs while also reduce heating/cooling costs by decrease interior temperatures up to 10 degrees. Using a Thermo Top Coat together with Liquid Waterproofing Membranes, a roof becomes permanently impervious to water and also has the properties of UV stable, seamless, flexible and robust roof coating. F.E.W Waterproofing are specialists using liquid applied membranes for all new and existing roofs.